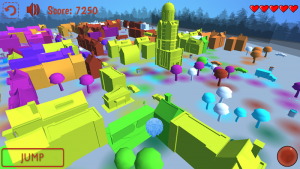 This is a game about painting, splattering buildings, cars and trees with color in order to save the world from a monochromatic existence. Liberate a fictional world from evil that has outlawed color and fun. Complete Parkour like acrobatic jumps as you splash paint over a colorless city.